Accesorios para pastores eléctricos - Extertronic, S.L. Accesorios para pastores eléctricos There are 20 products. For a safe and sustainable cord connection. 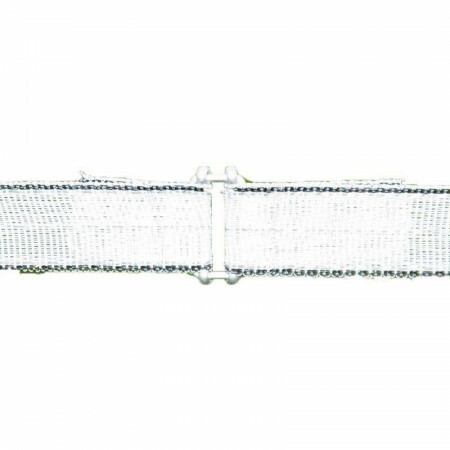 ø 4-6 mm galvanized. 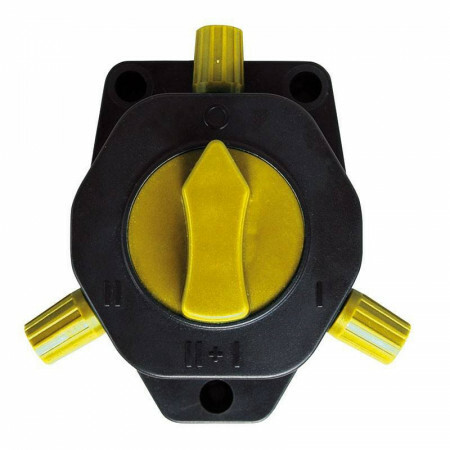 - For a safe and sustainable connection of wires.- For the connection of wires to hands for hatches.- For the connection to insulators at starting points and terms. 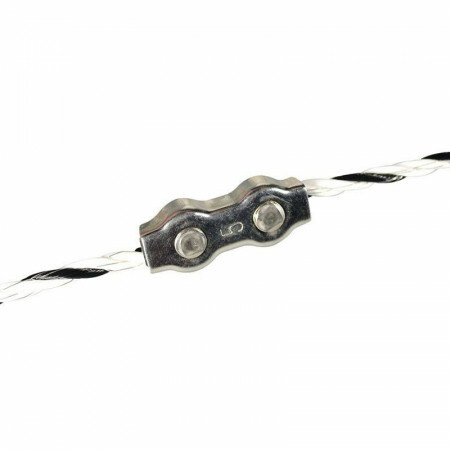 The connector guarantees an optimal connection between the electric shepherd and cords up to ø6 mm.Length 70 cm. 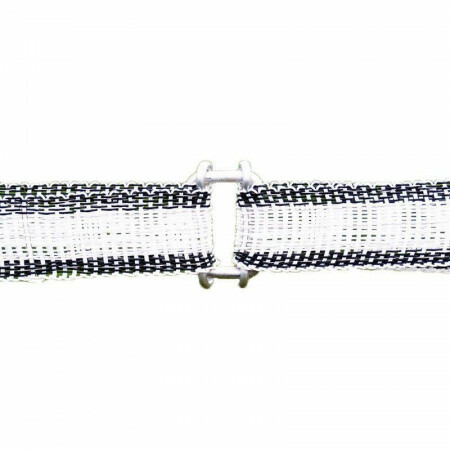 Suitable for cords and strings up to 6mm in diameter as well as for tapes up to 13mm wide. -Easy to use. -A slight readjustment is possible at every moment. -It is not necessary to cut the thread or the cord. 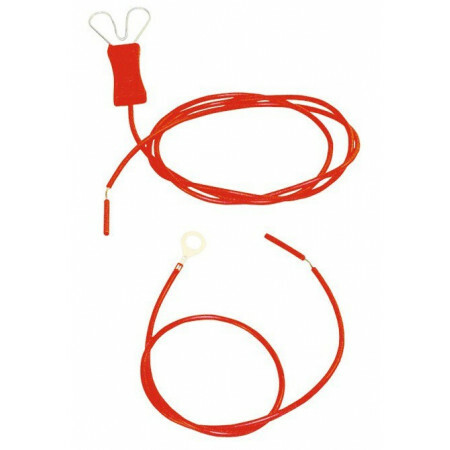 The kit contains a connection cable 100 cm, with a reinforced plastic wrap and cablefor grounding (50 cm). 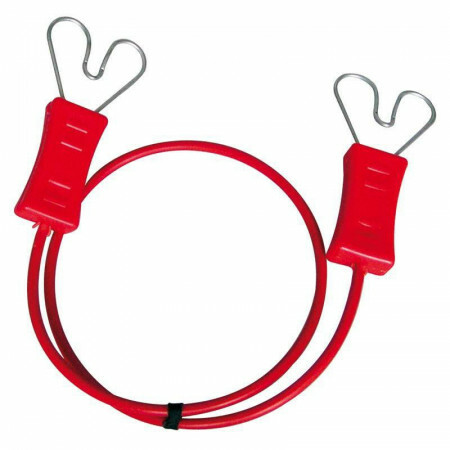 The heart clip can be used for connection to wires, wires and tapes up to 12 mm. Cable suitable for connection above and below ground to the shepherd, as well as the rodsland and ports. 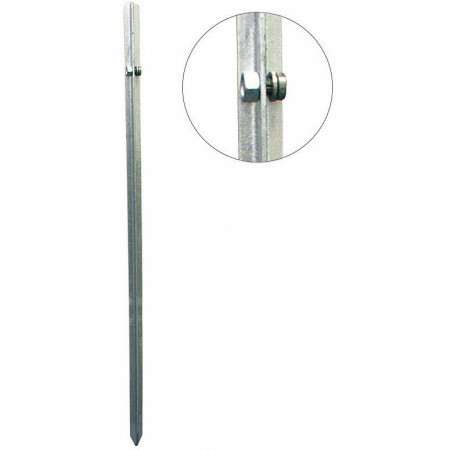 -For the connection of 1 m ground rods. 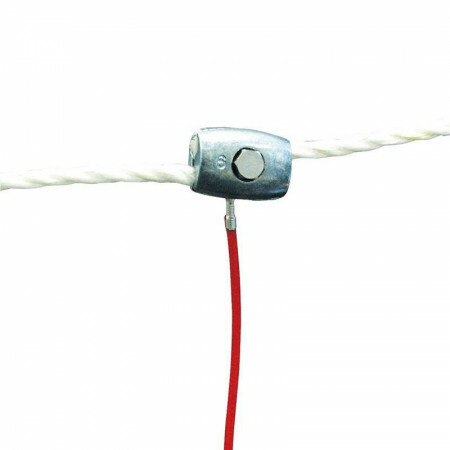 -The cable has double insulation and a galvanized steel conductor of ø 1.6 mm. 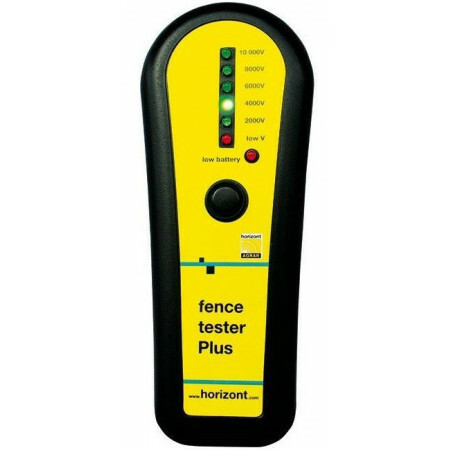 This product guarantees an optimal connection between the fence and the electric shepherd. Especially used in combination with ribbons. 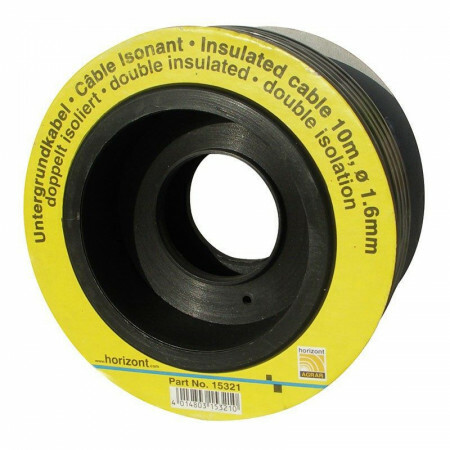 Cable length: 100 m.
To join tapes up to 40 mm easily and safely.Possibility of readjusting the tapes in a simple way. Each element of an electric fence, which is located on a road or a public road, must be marked at intervals of approximately 100m. 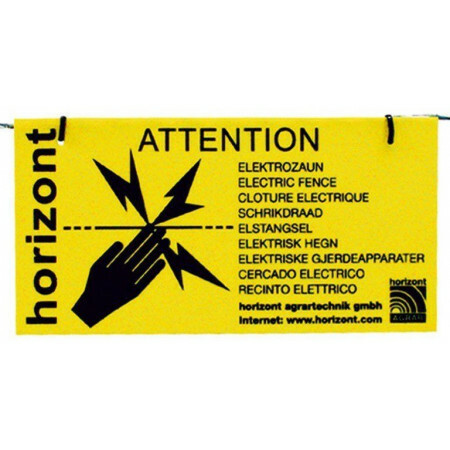 at each access or crossing with warning signs that will be fixed on the poles or on the fencing of the fence.With eight clamps for optimal attachment to all electrical fences, strands and cordsMeasure 20x10 cm. To join tapes up to 20 mm easily and safely.Possibility of readjusting the tapes in a simple way. 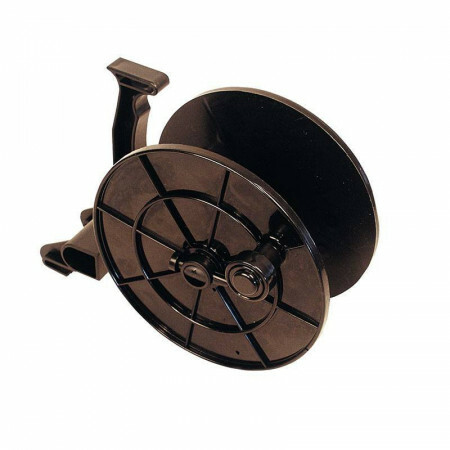 Reel of plastic of high quality, brake unit and device to be hung. 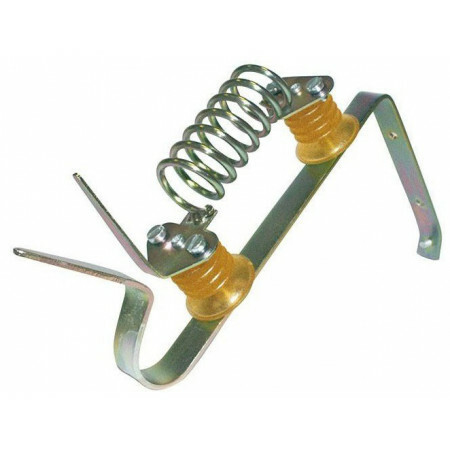 Protects your electric fence, effectively, from damage caused by the fall of a lightning bolt and voltage rises.Includes 2 lightning protection insulators, reactance coil and grounding switch. To connect the current, independent of the appliance model for fencing.Two outputs can be connected. Cable suitable for connection above and below ground to the shepherd, as well as the rodsland and ports. - For the connection of 1 m ground rods. 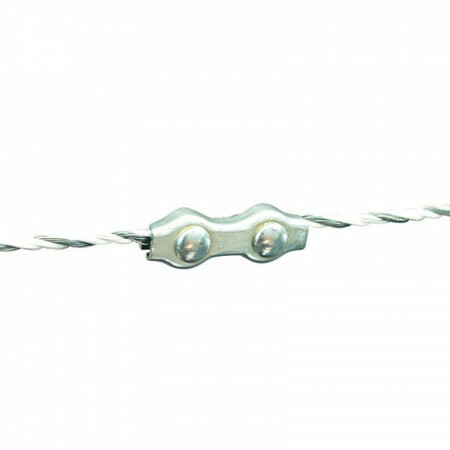 - The cable has double insulation and a galvanized steel conductor of ø 1.6 mm. Resistant post of galvanized iron at an angle in the form of "T". 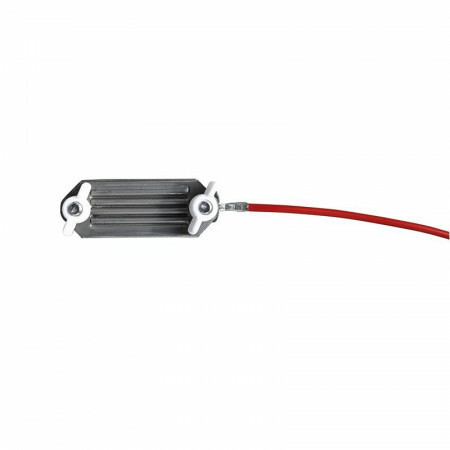 We recommend the length1 m for all 12 volt rechargeable devices and for solar energy devices. 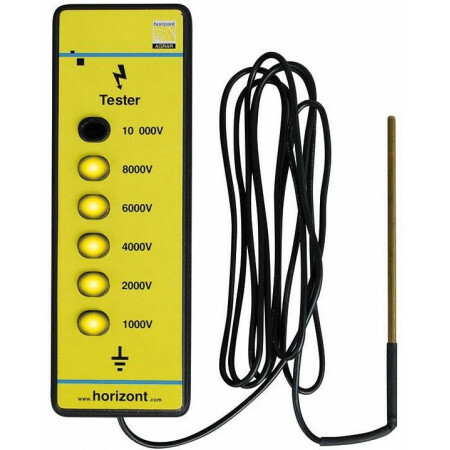 Controllable device with 6 levels, simple and fast to check the voltage on the fence.It does not need grounding.Accessory for electric shepherd. 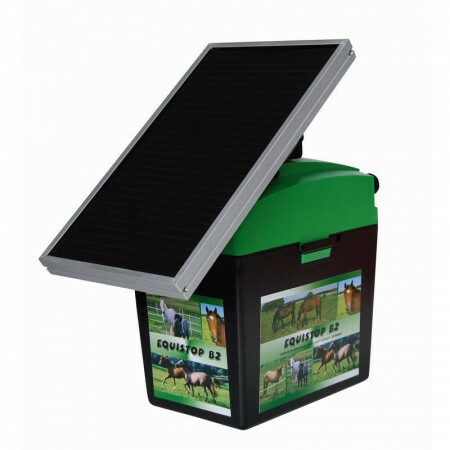 The solar panel works in combination with the dry battery inserted (with enough light, the shepherdelectric is fed by the panel, at dusk it will change to the dry cell).Accessory for electric shepherd. 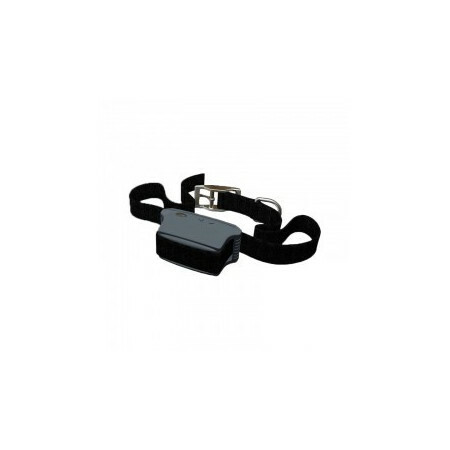 Necklace for wireless fencing using an electric collar system. - 4 levels of stimulation. 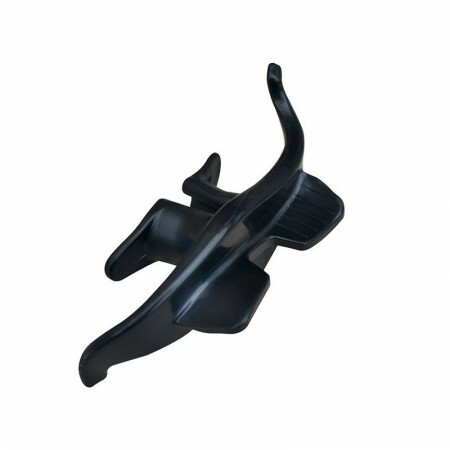 - Expandable up to 3000 m. - The receiver works with accumulator. - Accumulator charge indication.